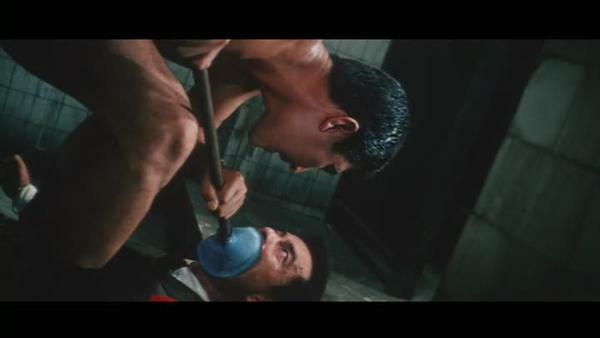 The world of 1960s spy films is a crazy place, filled with all sorts of local infusions of the James Bond formula. Jun Fukuda drops a pair of flicks that take inspiration from the jet-setting spy and the local Japanese yakuza and crime films. 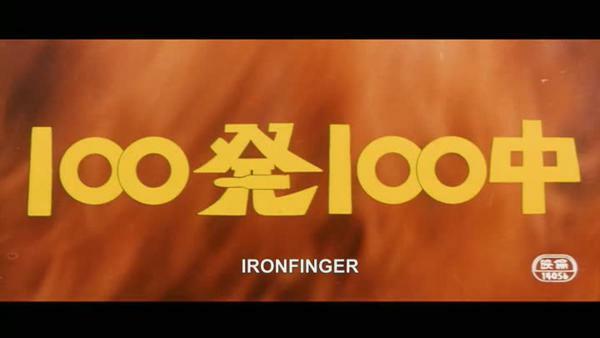 Like all good 60s spy flicks, things aren’t taken 100% serious, and Ironfinger is practically an action comedy. The era wardrobe and locations give flavor that can’t be reproduced any more, and our hero Andrew Hoshino runs around from country to country on his own agenda, that’s not as innocent as it first appears. Ironfinger is a movie of the world. It’s original title translates to 100 Shot, 100 Killed, but it’s given a James Bond-esque retitle for overseas release. Andrew Hoshino himself is a man of the world, French-born Japanese who speaks both languages, as well as English, with ease. His “vacation” sees him embroiled in an international weapons smuggling conspiracy that reaches all over the Pacific Rim, running from Japan to Hong Kong to the Philippines. Ironfinger speaks five languages, has characters who get angry because the wrong language is being spoken, yet the story is universal enough to be entertaining to everyone. Andrew Hoshino plays the innocent tourist caught up in crime and continually referencing his Mama. but it becomes abundantly clear that he’s more than he appears, but never so clear you understand just what he is. Secret agent, criminal, Interpol? Your guess is as good as anyone else’s. Even his name isn’t his own, he acquires it from the passport of a murdered friend. Hoshino has a string of running gags, beginning with where he’s constantly losing and getting back his hat (originally his murdered friend’s hat), the hat containing a concealed weapon. Hoshino is also constantly captured, spending the majority of the running time in custody of one gang or another. Yet he always manages to escape through the power of his mouth or his skills, falling upward and into the arms of beautiful women. 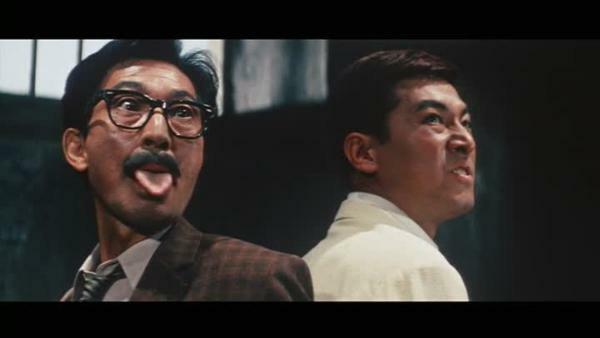 Ironfinger and its sequel Golden Eye were best known for the strong Godzilla alumni connection. 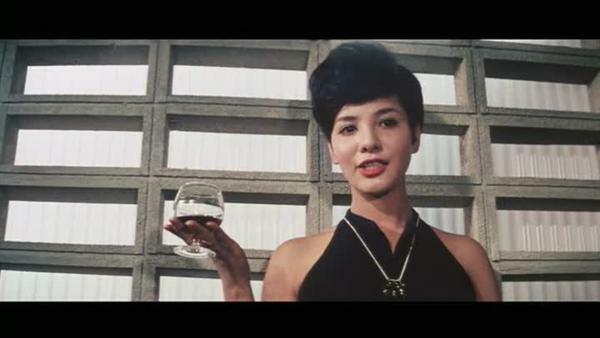 Both star Akira Takarada and costar Akihiko Hirata had roles in the original film and many subsequent sequels, but Bond girl Mie Hama also pops up in a few Toho kaiju flicks. Director Jun Fukuda has long been connected to the franchise, even helming Godzilla vs. the Sea Monster, Son of Godzilla, Godzilla vs. Gigan, Godzilla vs. Megalon, Godzilla vs. Mechagodzilla, ESPY, The War in Space, and episodes of the Zone Fighter tv series. These connections helped bump Ironfinger up the list for a Criterion release, and both Ironfinger and Golden Eye look fantastic and have nice subtitles. As these reviews are based on the streaming versions, I did not view any extras. Andrew Hoshino (Akira Takarada) – A third generation Japanese-Frenchman on vacation and caught up in a criminal conspiracy. Is constantly talking about his Mama and bumming cigs. But Andrew Hoshino is also a crack shot and adept at identifying and taking out dangerous people. He knows things about the arms dealer he’s hunting and his true affiliation is not revealed. But he gets the job done, does it really matter? In the universe of Ironfinger, not really. Yumi Sawada (Mie Hama) – Contract bomber for the Akatsuki who recognizes the game has changed once Andrew is in play, so moves her pieces to his side of the board. Is having the most fun out of anyone in the cast. Detective Ryuta Tezuka (Ichiro Arishima) – Blue collar detective who is sucked into this secret agent cool criminal underworld to track down an arms dealer. Always looks like he doesn’t belong, yet also is perfect for being in the middle of the action. Komori (Akihiko Hirata) – Contract killer for the Aonuma family, who really works for the shadowy figure behind the arms dealing. Also is familiar with Yumi Sawada. Is ordered to take out Andrew Hoshino before he gets too close.